Of all types of household breakdowns, plumbing is perhaps the most distressing – and potentially the costliest. According to the Association of British Insurers (ABI), the trade body for the insurance industry, insurers pay out around £2.5m every day to customers who’ve made ‘escape of water’ claims on their home insurance. And if your home is not insured, then you will know too well just how hefty the bill for fixing flood damage can be. Burst pipes are the stuff of winter nightmares, but leaks can happen at any time of year, often due to the poor installation of washing machines and other appliances. 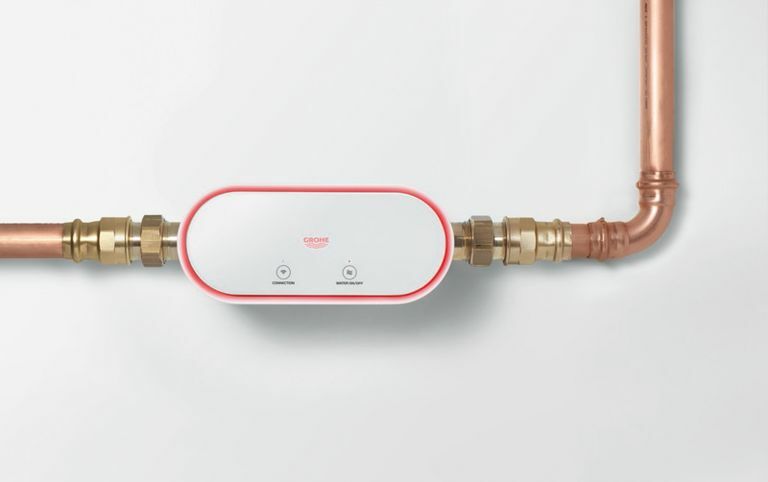 Smart technology to the rescue: the bathroom company Grohe have developed Sense Guard, a device that monitors your home for leaks even when you're away, allowing you to switch off your water supply via a phone app – and, in the case of a real emergency, such as a burst pipe, the device will shut down water supply automatically. The complete Grohe Sense set, which comes with three wireless sensors, is £559 and is compatible with Nest’s Home/Away Assist.